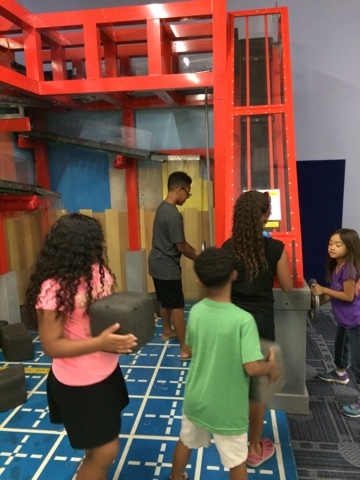 During our latest trip to Discovery Cube Los Angeles, we were very curious to explore one exhibit in particular. 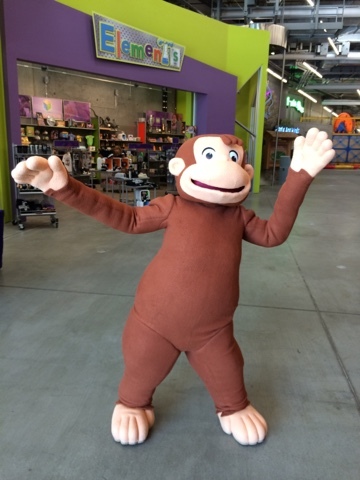 Curious George has made his way to LA and is now hanging around the Cube just waiting to visit with your family! 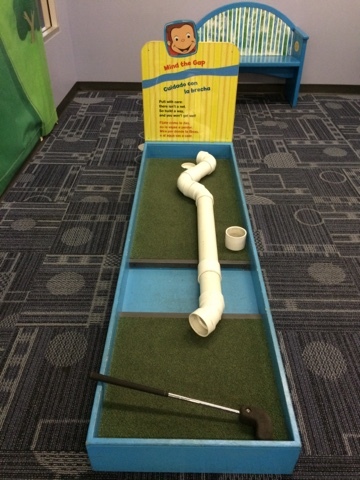 But you've got to hurry - this exhibit is only around until January 3, 2016. 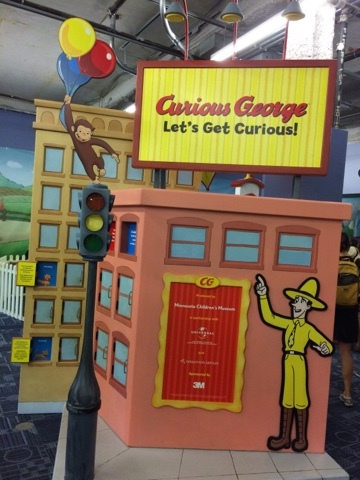 The latest exhibit to come to Discovery Cube LA is Curious George: Let's Get Curious! My daughter and her friends (we love having play dates there) walked around from the apartment building, sidewalk produce brand, construction site, city park, space rocket, and the farm. 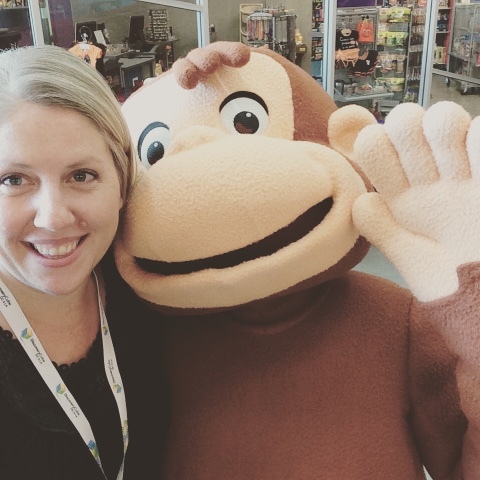 There was dress up, a slide, chances to take photos with Curious George and even three holes of mini golf! 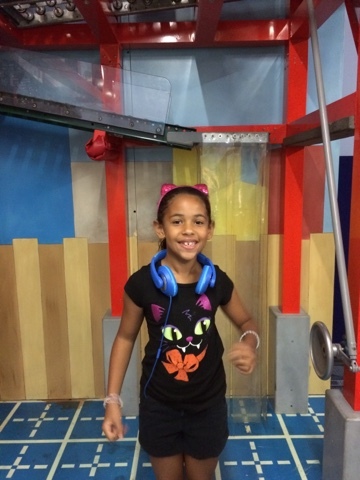 Kaia's favorite part was designing her own building at the Construction Site! Stacking up the bricks and then loading them up on the conveyor belt was definitely a highlight for her. Maybe I have a future architect on my hands, huh? I spent most of my time at the 'Museum inside the Museum.' 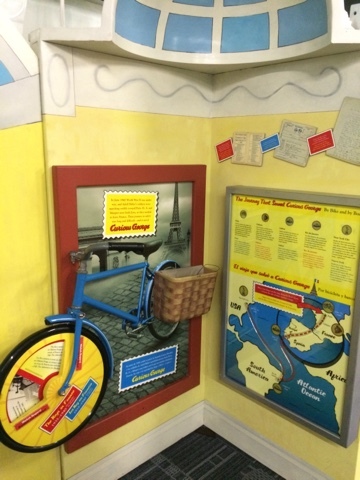 On display is a fascinating arrangement of how the story of the monkey started including all about the author, the illustrator and the journey that George has taken. 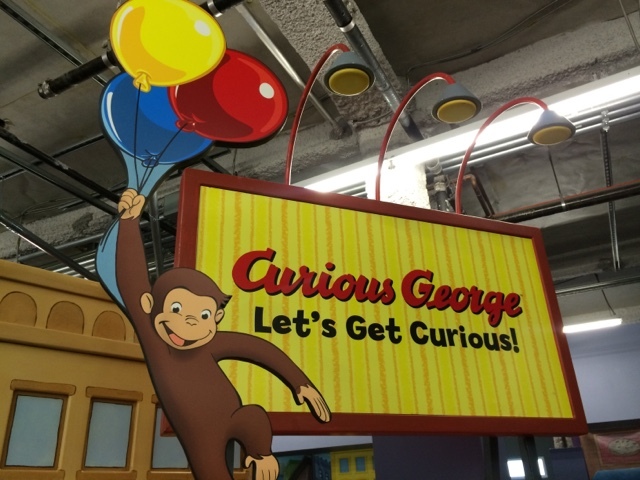 Did you know that Curious George was published in the United States in 1941. In the original story they were calling him "Fifi." That silly monkey soon became a worldwide success. 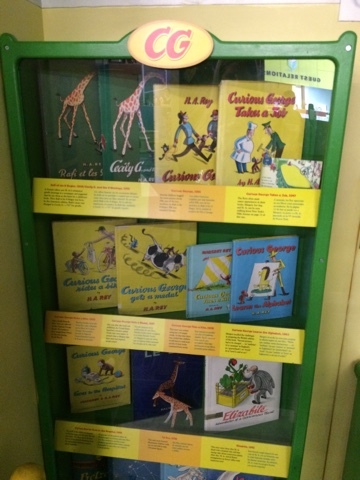 Editions have appeared in many languages, with George given such names as Jorge, Zozo, Bingo, Nicke, Coco and Piete. I loved learning so much about one of my favorite childhood books. 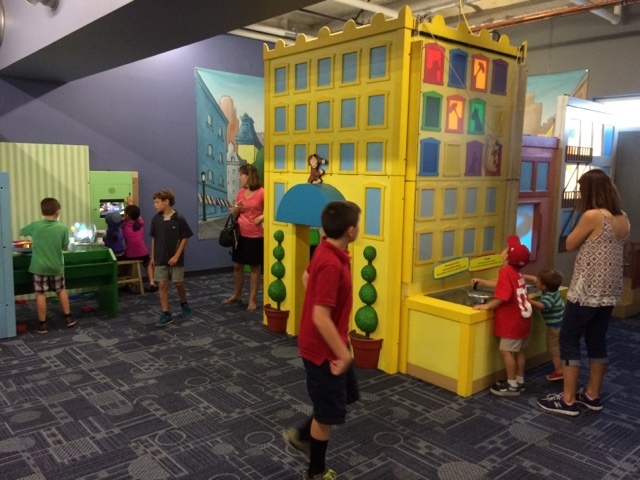 Here's a closer look at the fun new exhibit that is great for kids of all ages! 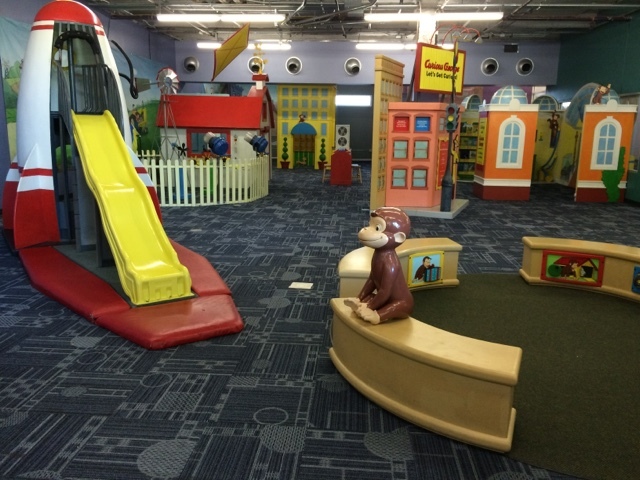 Grand Opening Price of $10 per ticket extended until January 3, 2016. 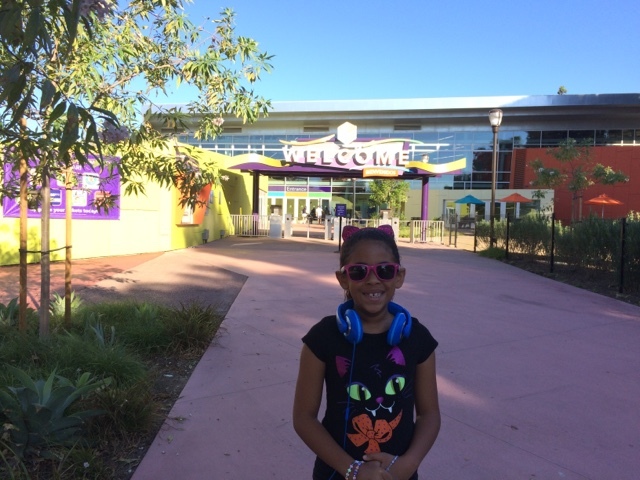 Tickets to 4D movies cost extra. See you at the Cube! Disclosure: This is a compensated post. As a member of Discovery Cube Mom Ambassadors, my family and I get free admission to The Cube to review and attend events. 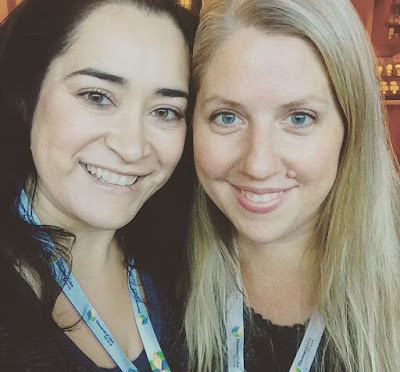 The thoughts and opinions shared on this blog are 100% fresh and 100% mine.